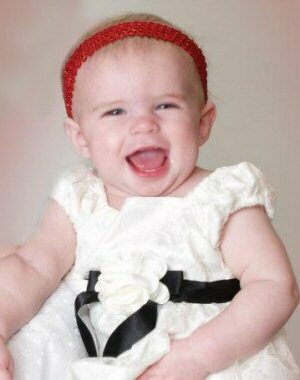 In March of 2011 this beautiful baby girl was born. Her mommy and daddy named her “Lyric” and she is hands down the most beautiful baby girl in the world. She also looks like a miniature copy of her brother, which means that he was the most beautiful baby boy in the world. Objectively speaking, of course. I try to write songs for each of my kids and grandkids, so after I had spent some time getting to know baby Lyric, I began thinking about a song for her… and I thought and thought… and thought… and a year later I finally finished. Funny how the simplest things can sometimes be the hardest. As I thought about the first time I held baby Lyric, and marveled at how very tiny she was, I realized that I wanted her to know that her Heavenly Father cares for all of His creations however small they may be. He counts the stars, He knows the sparrows, and He knows and loves every little child. The YouTube video for this song uses illustrations by Natasha Nashadka, a wonderful artist and friend. All the beautiful art in the video is her work, and you can see more on her website — http://nashadka.com. To do the drawings justice, you’ll want to watch the video in full-screen, at the highest resolution your connection will handle. I know my Father loves me, and my heart sings . My 8 year old daughter just sang this lovely song for a baptism service! I am the primary chorister and I would love to add this song into the program this year – but – it’s a little low voiced for kids. My daughter was totally bottomed out. Is there any way you could shift the key up a bit to be more friendly for young little voices? Today was the Dungeness Ward (Sequim, WA) Primary Program. A highlight of the meeting was the Senior Primary children singing your beautiful song, “I Know My Heavenly Father Loves Me.” The girls sang the first verse. The boys then sang the second and third verses while the girls sang the harmony. The children sang like angels, quite magnificent. Thank you for generously sharing your incomparable talent. This is such a beautiful song! I just really love it! It pops into my mind often and just plays over and over. Thank you for writing and sharing it! I have been so blessed by your music for the past year and have loved all of the songs I have listend to. My pianist and I have recently started working with I Know My Father Loves Me. We shared it today at a nursing home where we sang “love songs” because of Valentine’s Day coming up and everybody loved this piece. We’ve shared “Believer’s Prayer” with them as well and they loved that piece too. I just want to say “Thank You” so much Sally for sharing your gift with us. There is nobody else that I have found who is as generous as you are and I am so grateful that I found your site. May God bless you for your selflessness and may He continue to give you the words and music that sing praises to Him and allow us to share those with others who may not know Him but are interested in knowing Him because of your music! Thank you, thank you, thank you! God bless! Our Lord has sent you to help us proclaim his word. I cannot say, may he bless you abundantly, because it’s cristyl clear that he has blessed you already. He has chosen you to spread his word upon song and that song will transend and touch everyone’s hearts and souls who sings and hears it. It has touched my heart and soul deeply and cleared my understanding,even more so, to know that I am a child of God and that our dear Heavely Father has Loved us, even before time began….and his Love is greater than Eternity! His love trancsends all known love found here on earth. He loves us…. more than we can begin to comprehend. I love this song–thank you! I’m teaching it to a group of girls to sing in sacrament meeting. I think the Children’s version with a few additions (adding the “Ooo” harmony on the 2nd verse and repeating the last line with harmony at the end) will be just perfect! thank you for sharing your talents! Sally, this is one of the most beautiful songs I’ve every heard – the lyrics as well as the accompaniment. I’m the Primary Chorister and the Ward Music Leader and have used it for our Primary Presentatuin (the children and leaders fell in love with it), and am planning on singing it with a small group with flute for our ward this month. Thank you for all you do and allowing us to use your music. Your site is always at the top of my list in finding beautiful and appropriate music.